What do you do if you need a car moved a considerable distance without driving, towing — or pushing — it? About 15 million cars are sold annually over the Internet, and if you have bought one, choosing a reliable car transport service can be a challenge. There are various reasons you might need to find a shipping a car service. 1. Purchasing on the internet an out-of-state used car. 2. Buying a classic car from a collector that leaves in another state. 3. Flying for vacations and having your car delivered there. 4. Getting your car home after an accident or breakdown. A low-cost solution would be to drive it yourself, but it puts wear and tear on your vehicle. It will be unacceptable if your vehicle is a collectible or an expensive, luxurious vehicle. One alternative that may be less expensive than you think is using a car shipping service. 2. The importance of using a closed carrier vs. an open one. 3. Flexibility in the delivery date. 4. Mileage from pickup to drop off. 5. If the vehicle is in good condition. Open car carriers are less expensive because the vehicle is exposed and have more opportunity for damage. Multi car carriers are even less expensive than single-vehicle carriers because they stop to pick up and drop off other vehicles in route (flexibility on the delivery date is a factor). 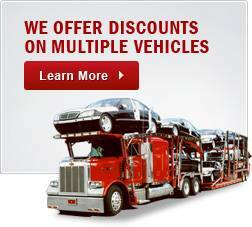 Multi-carriers pricing varies depending where the vehicle is placed on the carrier, either upper or lower level. Also, your car should run in good condition if the vehicle will be on a transporter because it will be loaded on and off the carrier. Investing a little time and effort before your vehicle is loaded on the transportation can minimize problems during shipment. We provide superior car shipping services because we value our customer needs. 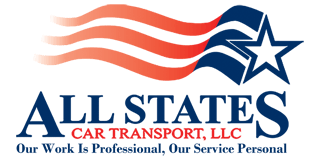 We deliver vehicle(s) with a seamless process, for state to state. We are a full-service car shipping company skilled with superior expertise. Every measure is taken not only to ensure the safe arrival of your vehicle but to alleviate the pressures and concerns of the process. Call today at 1-888-224-9917 or click here to fill out a quick form. Shipping A Car? Here's What You Need To Know	Overall rating:	4.7	out of 5 based on 9	reviews.